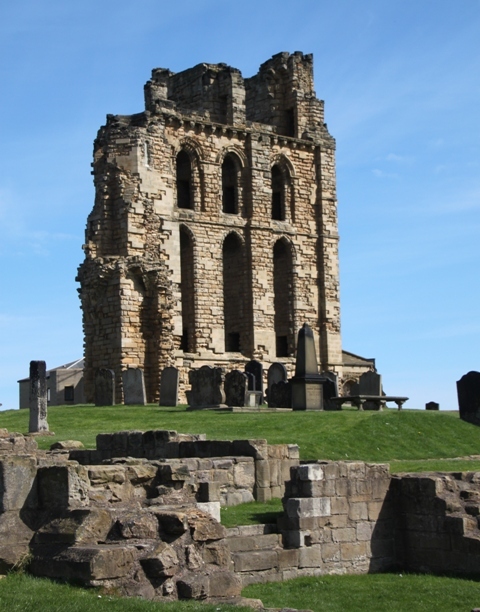 Our last full day in Northumberland and a trip to the coast was the plan with destination Tynemouth. Just a short hop from Newcastle this was the perfect spot to appreciate the ruggedly beautiful coastline. 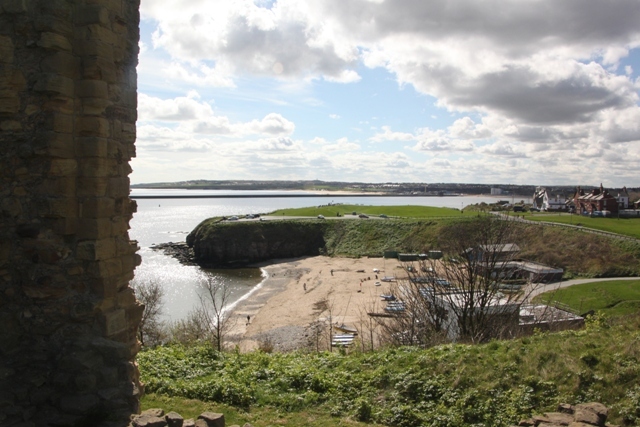 The castle and priory perched on a rocky headland overlooking the North Sea dominates the town and that’s where we spent our morning. 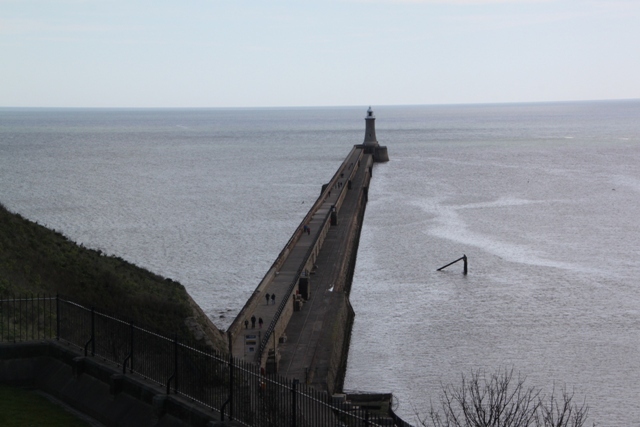 There is a small entrance fee – worth it if soaring ruins mixed with sea views and a good dollop of history is your thing. 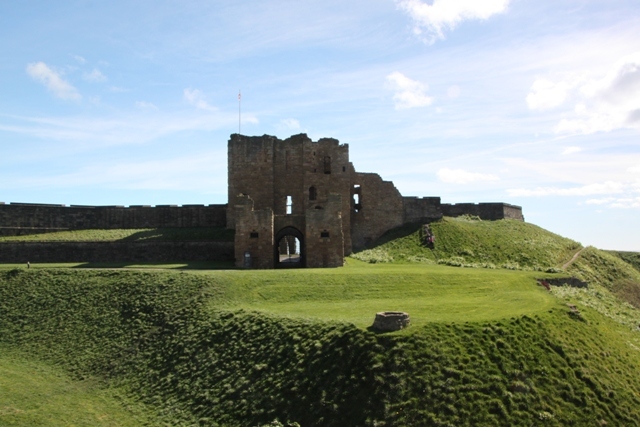 This was once one of the largest fortified areas in England and is impressive and extensive. 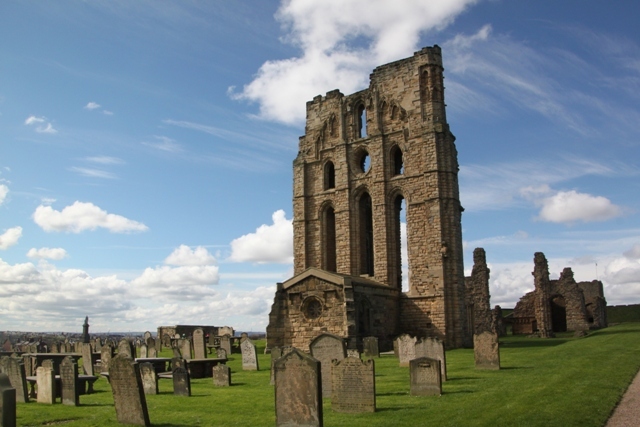 Early kings of Northumberland were buried here and a priory was first established in the 7th century. 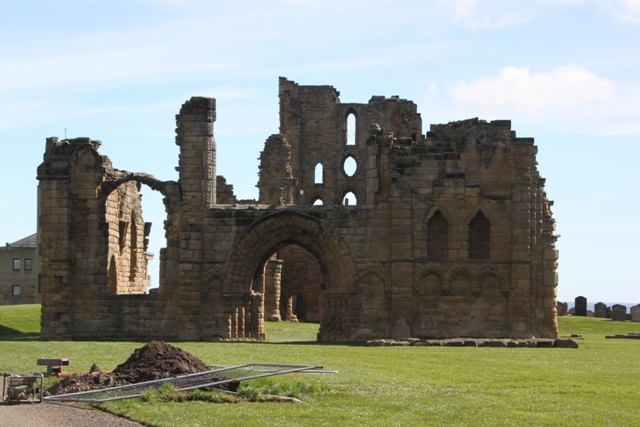 After a bit of pillaging and plundering by the pesky Danes in 875, a monastery was again established in 1090 which went on to be dissolved by Henry VIII. All that plus there was a lighthouse inside the castle walls in the 1700’s, it was a barracks at the end of the 19th century and a coastal defence during World War I and II. History galore both ancient and modern, these old stones have some stories to tell. 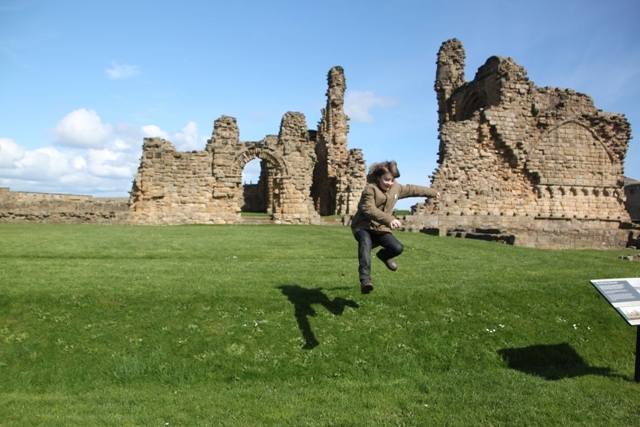 Son found plenty of space to run around, hills to climb and roll down and ruins to clamber over. The views over the beach and the sea did it for me. 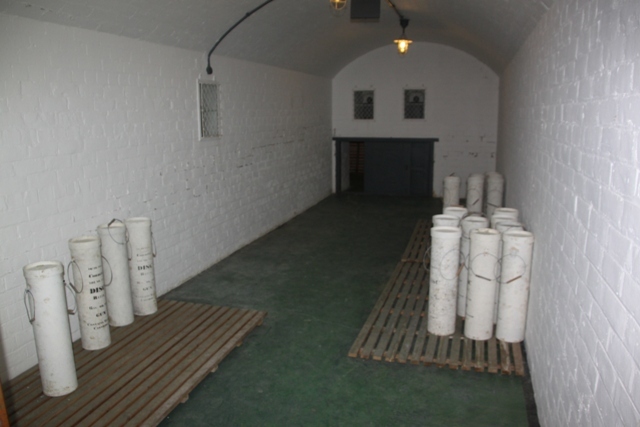 The exhibition – Life In The Stronghold – looks at the history of the site in quite a child-friendly way. 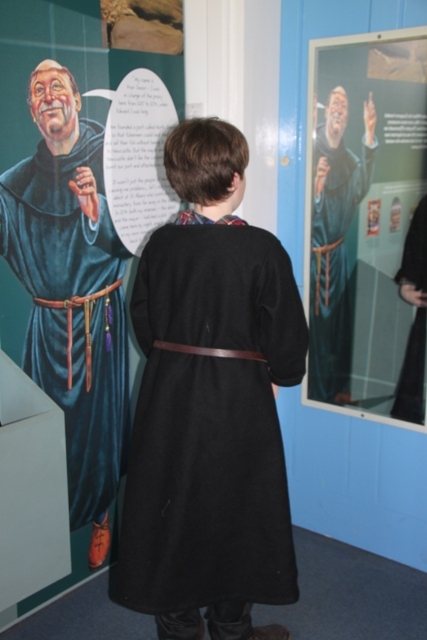 Son quickly skimmed the facts then dived into the dressing up box and emerged as a monk. 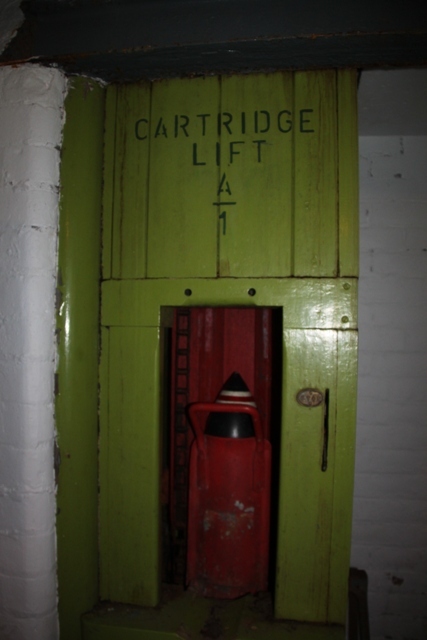 Ruins done, we found the gun battery, fully restored and ripe for exploring. 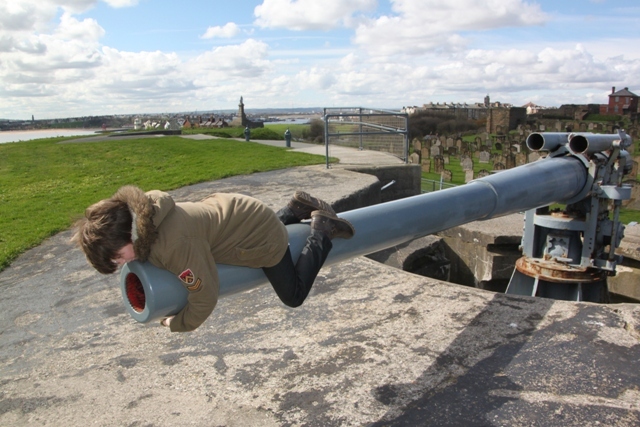 This was designed to defend the Tyne in both World Wars, as well as the gun you can see the shell lifts complete with sound effects. Fascinating if a bit gloomy. 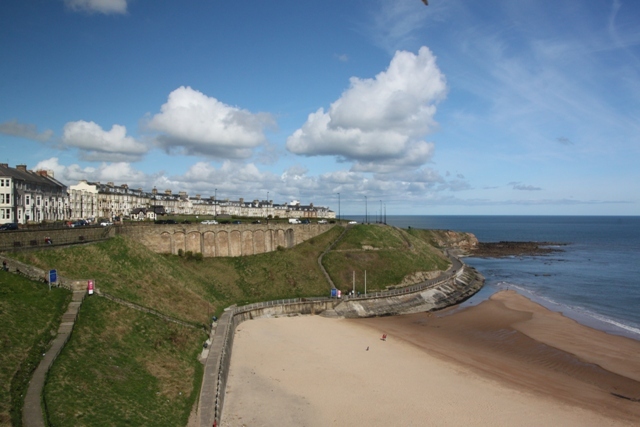 Having spent the morning at the top of the headland, we couldn’t leave Tynemouth without a stint on that golden beach. Bracing to say the least none of us were brave enough to dip a toe in the North Sea but we strolled along the sand, skimmed stones and plotted a return to this glorious county. Yes, the setting is wonderful right by the sea. This is so cool! Excellent photos. Was it chilly in July? I noticed the jackets. Thank you! 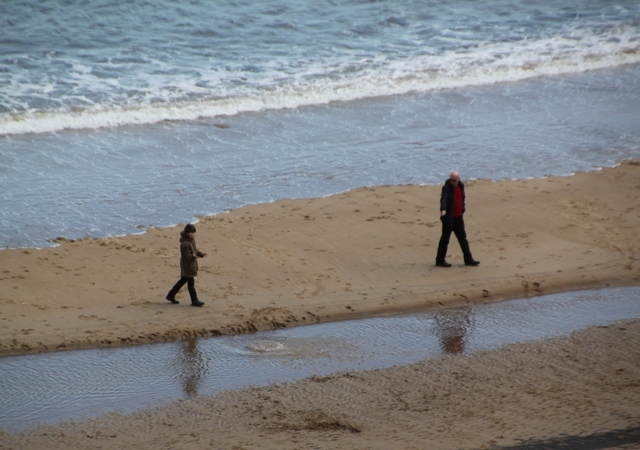 We actually visited at the end of April – just getting round to blogging about it now – but it was fairly chilly then. July should be warmer, but then in the UK you just never know! I love that you can clamber over the ruins. That’s not allowed in the U.S. You can’t get close to things here. Some places are a bit more strict than others – here you could get close to most of the old stones – it was really great. This must have been a wonderful trip! It was – stunning scenery and so many interesting things to do, we had a great time and would definitely recommend this area! Love the action shots of your son there. There were plenty of action shots that day – most days in fact – it’s the keeping still and paying attention ones that are a bit thin on the ground. Love the photos of the ruins!